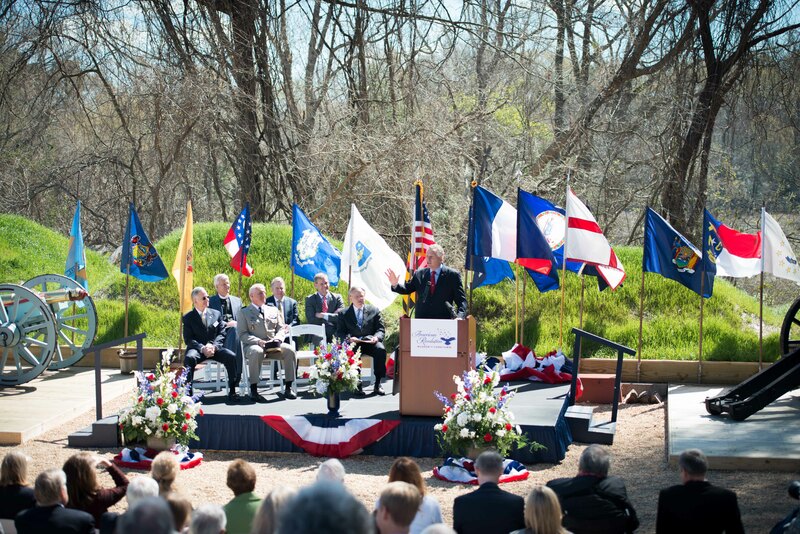 The Grand Opening Celebration of the American Revolution Museum at Yorktown commenced with 13 days of festivities on March 23-April 4, 2017, with a patriotic salute to America’s 13 original states, a dedication ceremony on April 1, tours of expansive gallery exhibits, and military music and 18th-century interpretive experiences in the newly expanded Continental Army encampment and Revolution-era farm. Through comprehensive indoor gallery exhibits, immersive films and outdoor living history, the American Revolution Museum at Yorktown offers a truly national perspective, conveying a sense of the transformational nature and epic scale of the Revolution and the richness and complexity of the country’s Revolutionary heritage. Ceremonies honoring the legacy of the first 13 states in the United States of America took place each day in the order that they ratified the Constitution – Delaware, Pennsylvania, New Jersey, Georgia, Connecticut, Massachusetts, Maryland, South Carolina, New Hampshire, Virginia, New York, North Carolina and Rhode Island. 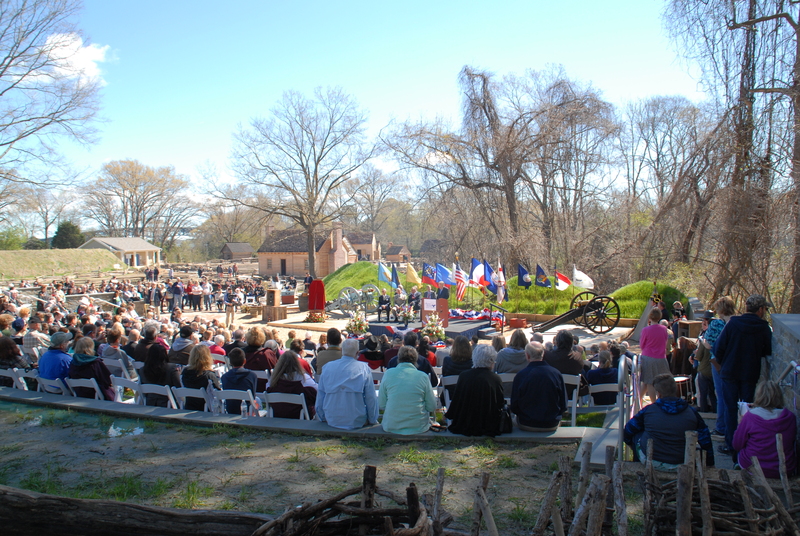 A dedication ceremony on April 1, featuring Virginia, officially launched the American Revolution Museum at Yorktown. States were recognized in the museum lobby with informational displays about each state’s Revolutionary War history, as well as tourism and heritage organizations. Each day began with a midday ceremony honoring the featured state with welcoming remarks and presentation of the state flag, followed by an Honor Guard procession along the Grand Corridor to the outdoor re-created Continental Army encampment’s artillery amphitheater for a flag-raising ceremony and artillery salute. Throughout each day, visitors learned more about each state and its Revolutionary War history through a variety of educational programs, special guided tours of new exhibition galleries, and interpretive programs in the newly expanded Continental Army encampment and Revolution-era farm. Children’s games and activities rounded out the festivities. 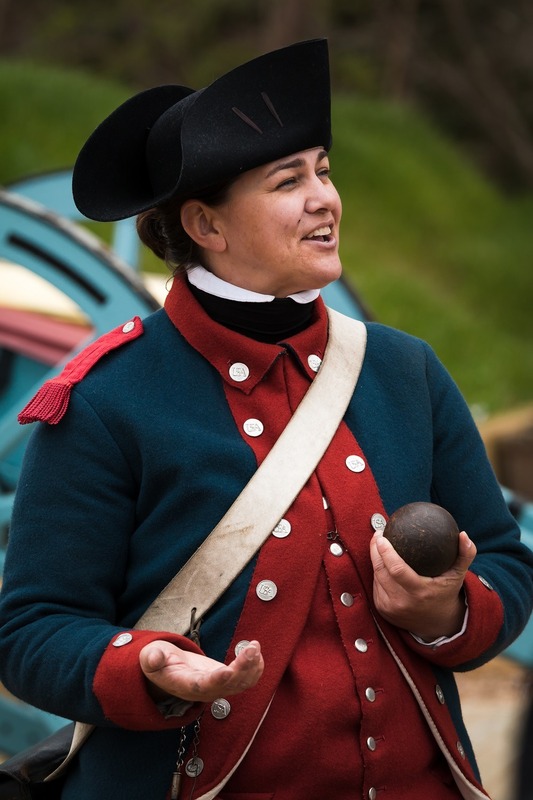 A Continental Army encampment historical interpreter leads visitors in a demonstration on military tactics and weaponry as part of Grand Opening Celebration events honoring New Hampshire's role in the American Revolution on March 31, 2017. 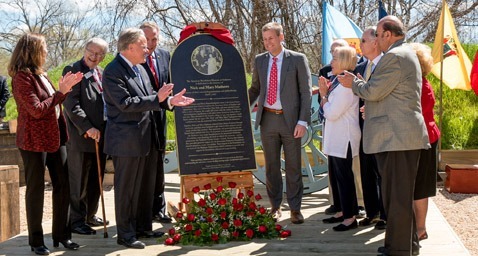 The American Revolution Museum at Yorktown was dedicated on April 1, 2017, to the late Nick and Mary Mathews, benefactors to the Jamestown-Yorktown Foundation who donated the land on which the museum is built and supported museum programs during their life and through their estate. 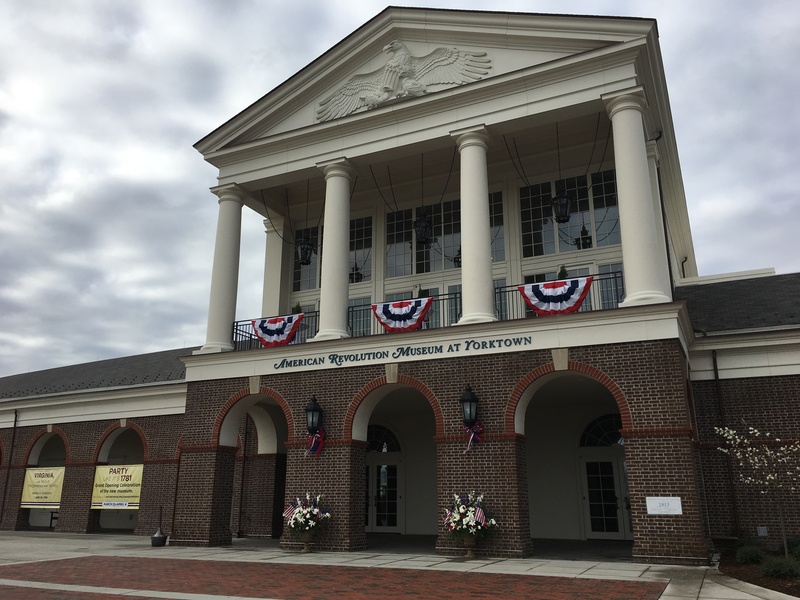 The American Revolution Museum at Yorktown is dressed for its Grand Opening Celebration, March 23-April 4, 2017, that saluted the first 13 states in the order that they ratified the U.S. Constitution. 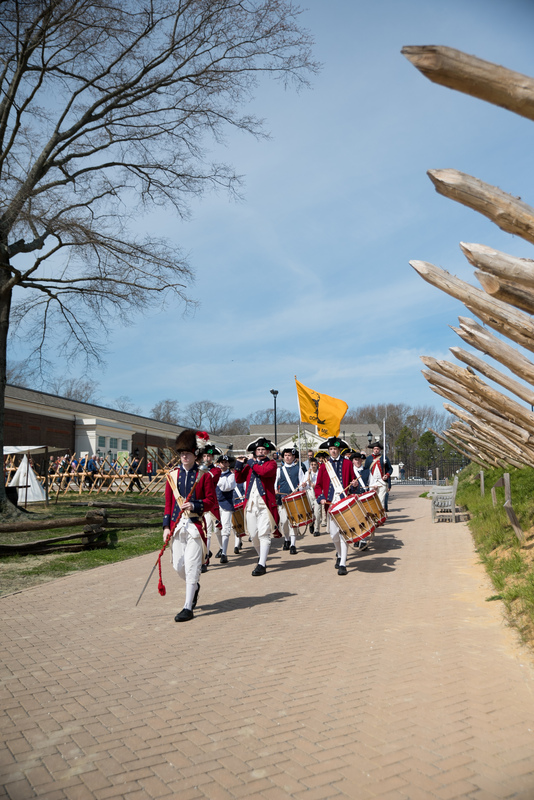 A fife and drum procession led the way for New Jersey Day's welcoming ceremony on March 25, 2017, as part of the Grand Opening Celebration of the American Revolution Museum at Yorktown. As part of the April 1, 2017, dedication ceremony of the American Revolution Museum at Yorktown, participants recite the Pledge of Allegiance. 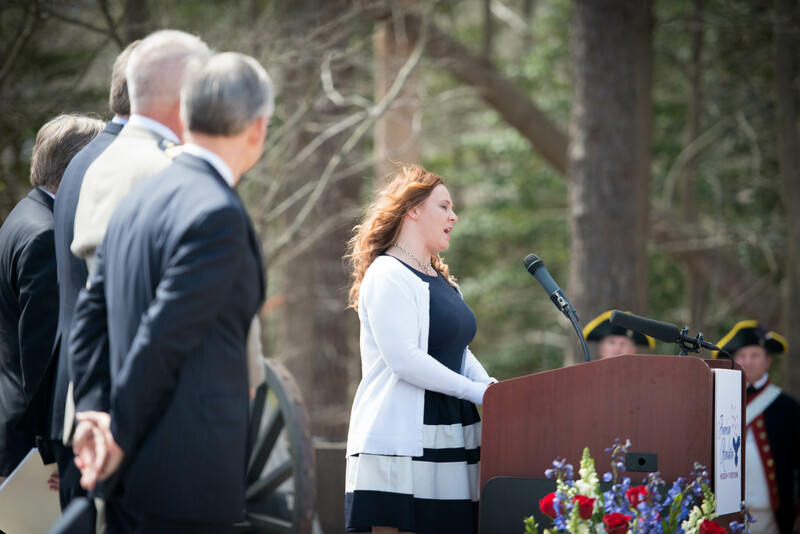 The dedication of the American Revolution Museum at Yorktown on April 1, 2017, featured singer Laura Rice, a U.S. Marine Corps Veteran and Heart Songs for Veterans Ambassador, singing "God Bless America." The song was a favorite of the late Mary Mathews, for whom the museum, along with her husband Nick, was dedicated. 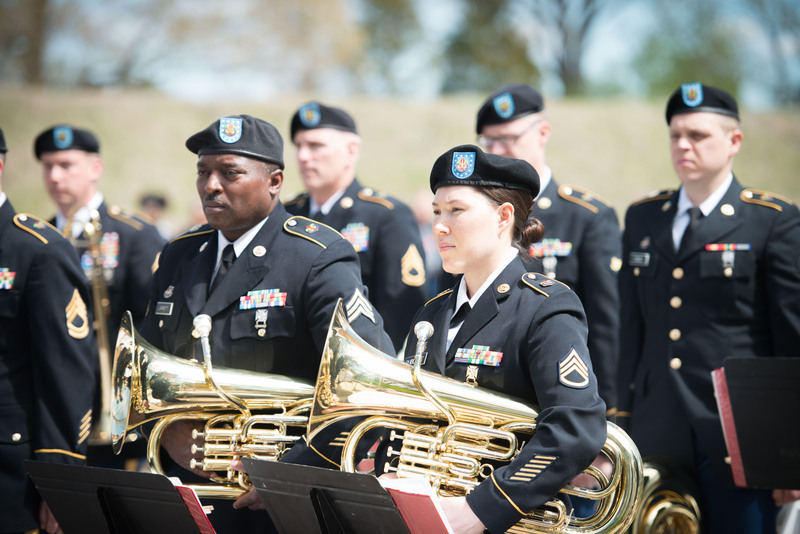 The dedication of the American Revolution Museum at Yorktown on April 1, 2017, featured music by the Virginia Army National Guard 29th Infantry Division Band. 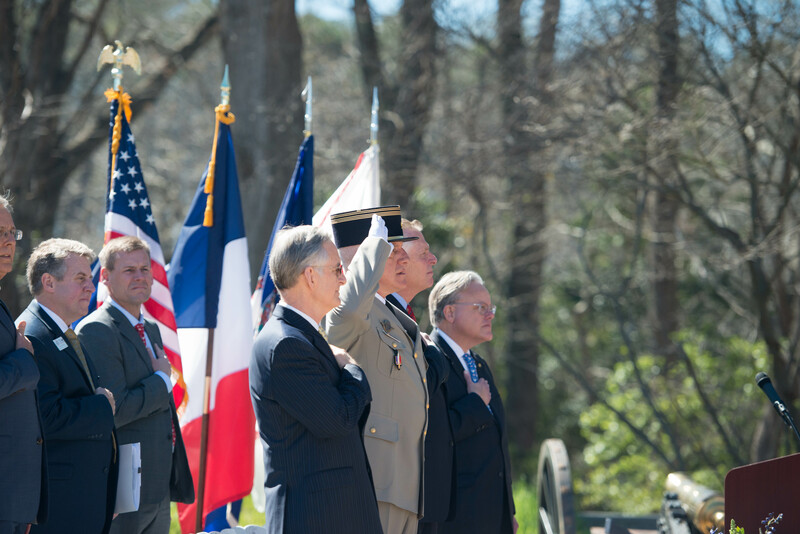 As part of the American Revolution Museum at Yorktown's dedication ceremony on April 1, 2017, Col. Thierry Casanova, French Army Liaison Officer to Command Group TRADOC at Fort Eustis, Va., delivered greetings from France, representing the Embassy of France to the United States. 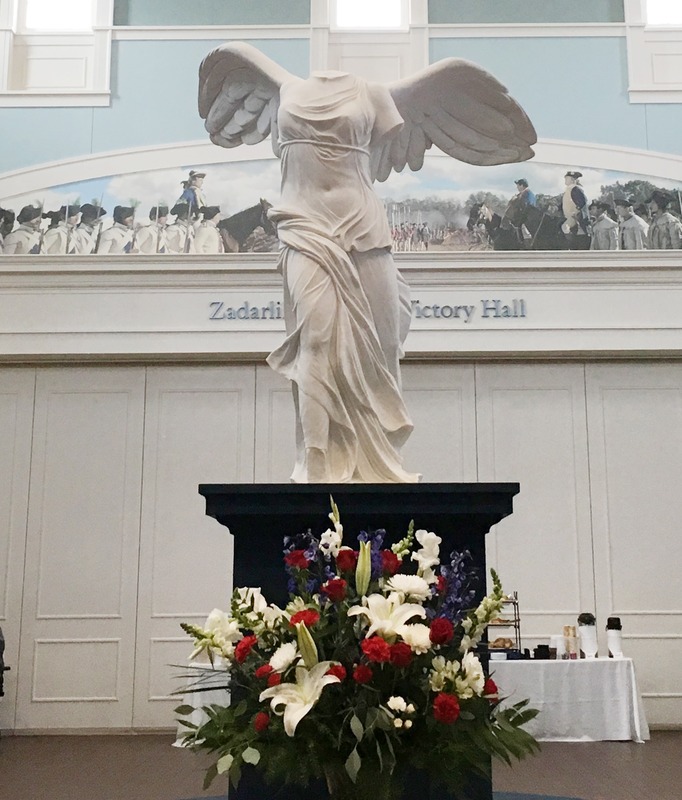 The statue of Nike, or "Winged Victory," is adorned with red, white and blue flowers as part of the Grand Opening Celebration of the American Revolution Museum at Yorktown. 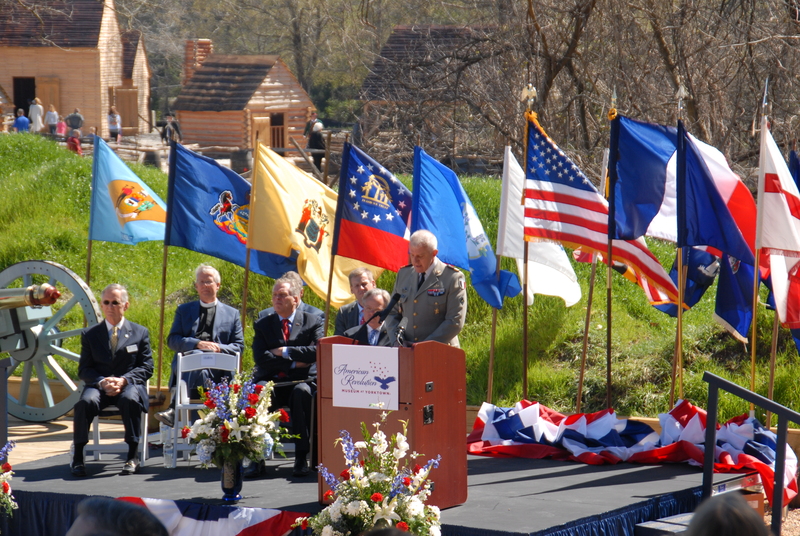 Flags of the first 13 states served as a backdrop to patriotic ceremonies during the April 1, 2017, dedication of the American Revolution Museum at Yorktown. 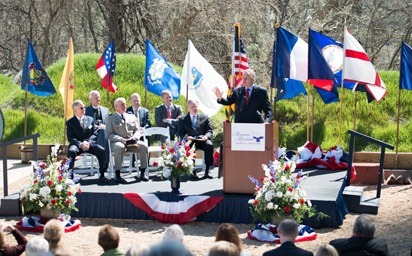 Virginia Governor Terence R. McAuliffe served as the keynote speaker on April 1, 2017, during the dedication of the American Revolution Museum at Yorktown. 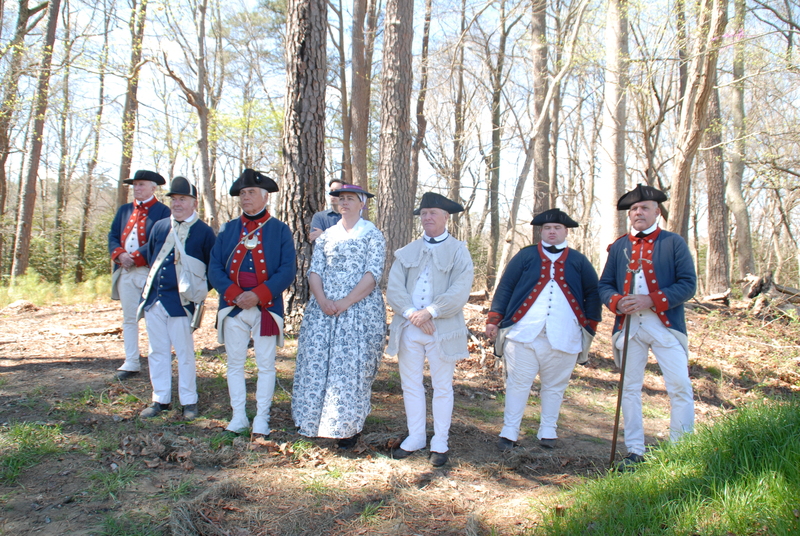 Historical interpreters look on during the April 1, 2017, dedication of the American Revolution Museum at Yorktown. 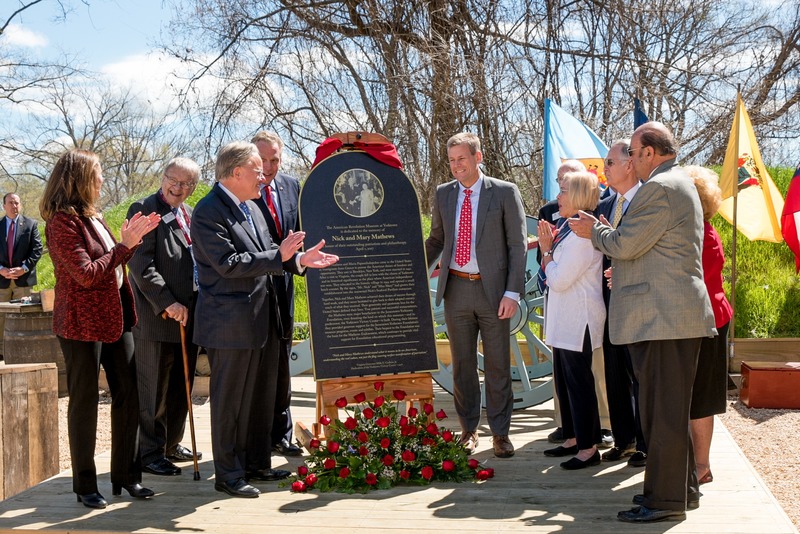 Connecticut was honored on March 27, 2017, during the American Revolution Museum at Yorktown's 13-day Grand Opening Celebration. Here, visitors take part in raising the state flag. 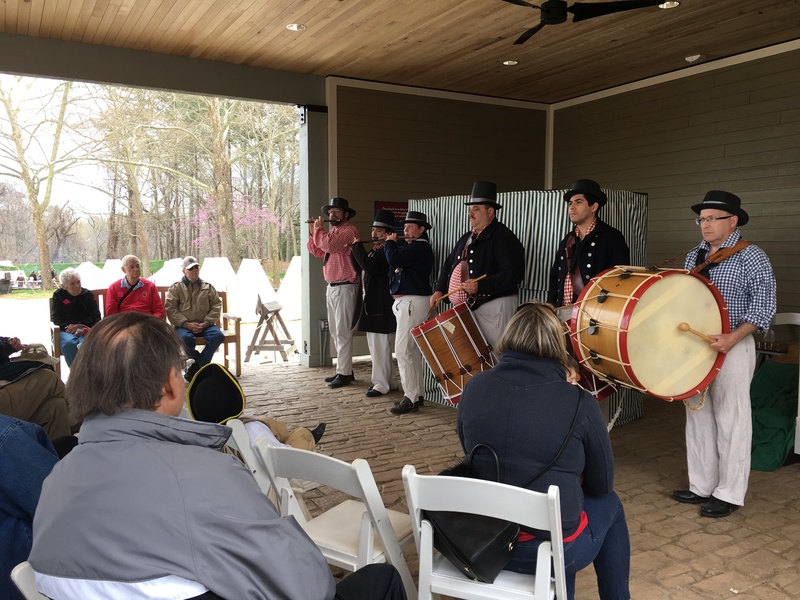 As part of the American Revolution Museum at Yorktown's Grand Opening Celebration, members of Field Music Virginia perform for visitors on April 1, 2017. As part of the Grand Opening Celebration of the American Revolution Museum at Yorktown, representatives of each of the 13 states took part in placing their piece into a "Join or Die" permanent exhibition. 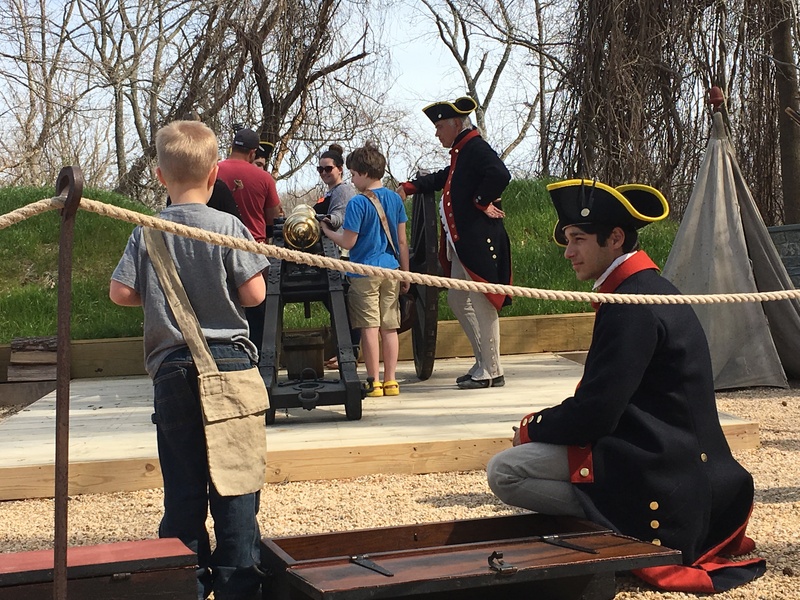 On New Jersey Day, March 25, 2017, a young visitor plays a role in a Continental Army gun crew as part of the American Revolution Museum at Yorktown's Grand Opening Celebration. 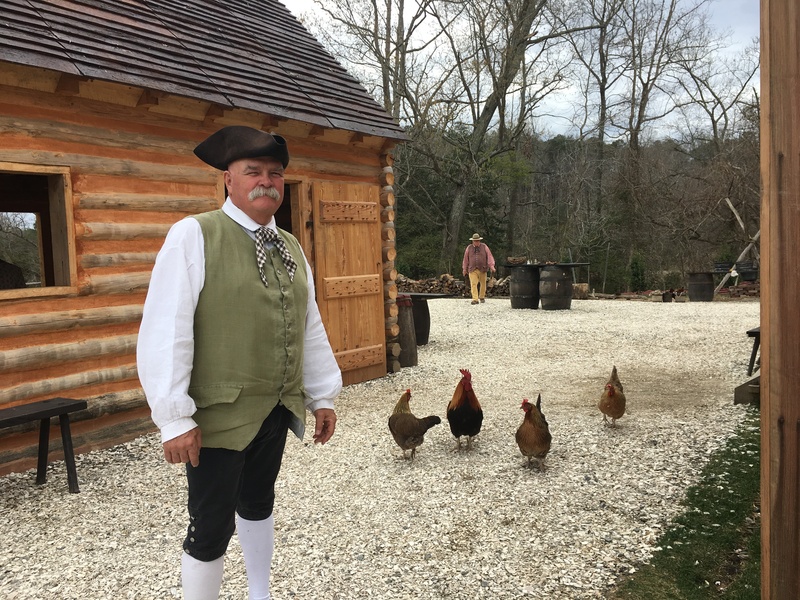 As part of the American Revolution Museum at Yorktown's Grand Opening Celebration, visitors explored the museum's new Revolution-era farm, where historical interpreters and feathered friends gave a hearty welcome. 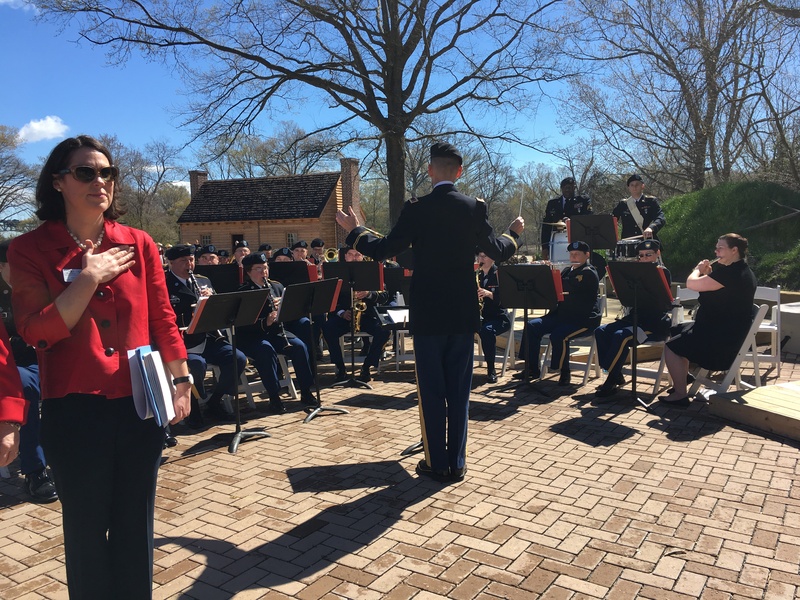 The April 1, 2017, dedication of the American Revolution Museum at Yorktown featured music by the Virginia Army National Guard 29th Infantry Division Band. 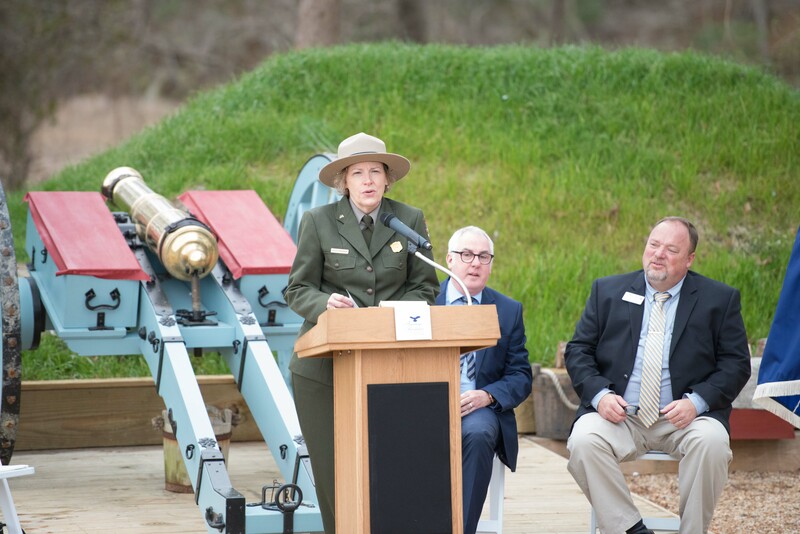 North Carolina Day on April 3, 2017, featured artillery and musket firings as part of the Grand Opening Celebration of the American Revolution Museum at Yorktown. At the American Revolution Museum at Yorktown's artillery amphitheater, Leslie Obleschuk of Minuteman National Historic Park offers welcoming remarks as part of Massachusetts Day. At right are Jamestown-Yorktown Foundation Senior Director of Museum Operations & Education Peter Armstrong and Interpretive Site Manager Homer Lanier. 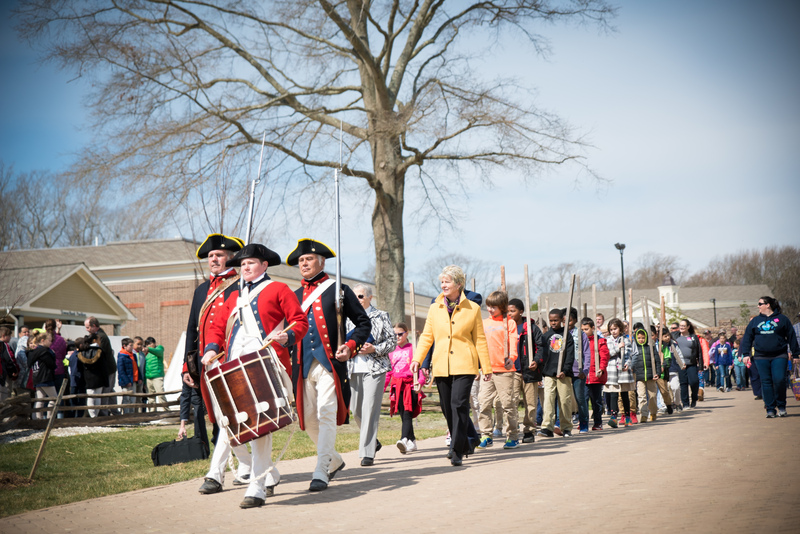 The welcoming ceremony for Pennsylvania Day, March 24, 2017, during Grand Opening Celebration of the American Revolution Museum at Yorktown featured the Jamestown-Yorktown Foundation Honor Guard leading Nancy Loane of the Valley Forge National Park and school children. The procession led to the artillery amphitheater for remarks, flag-raising and artillery salute. 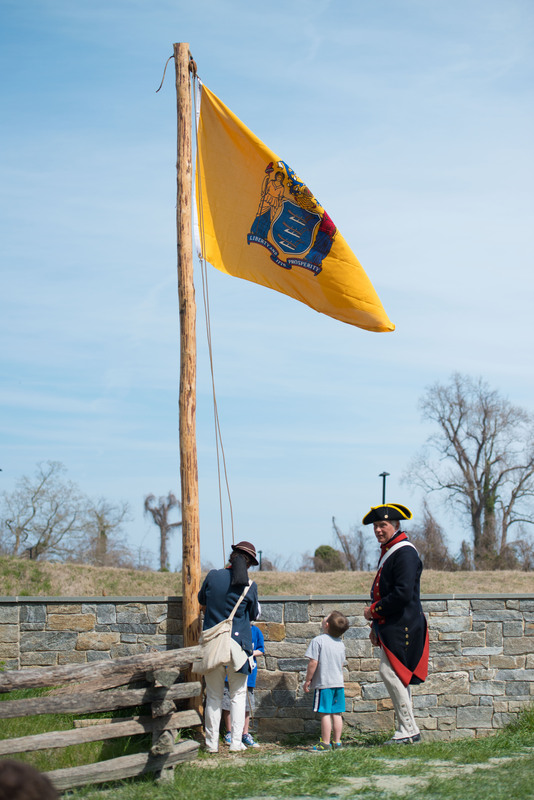 New Jersey's role in the American Revolution was marked on March 25, 2017, during the American Revolution Museum at Yorktown's Grand Opening Celebration. 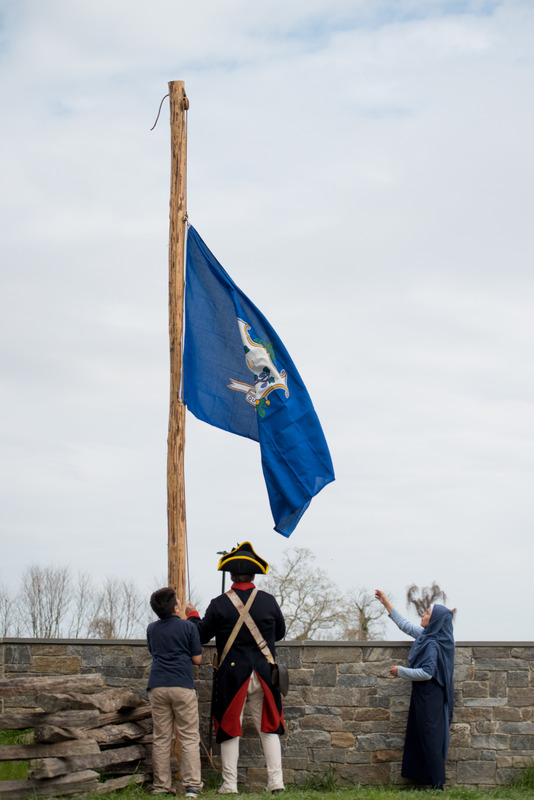 Here, young visitors take part in raising New Jersey's flag in the Continental Army encampment's artillery amphitheater. 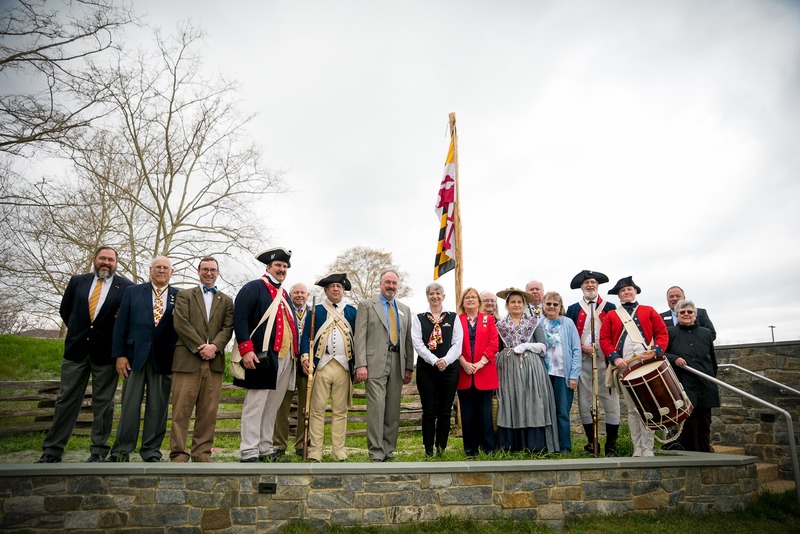 Maryland was featured on March 29, 2017, during the American Revolution Museum at Yorktown's Grand Opening Celebration. 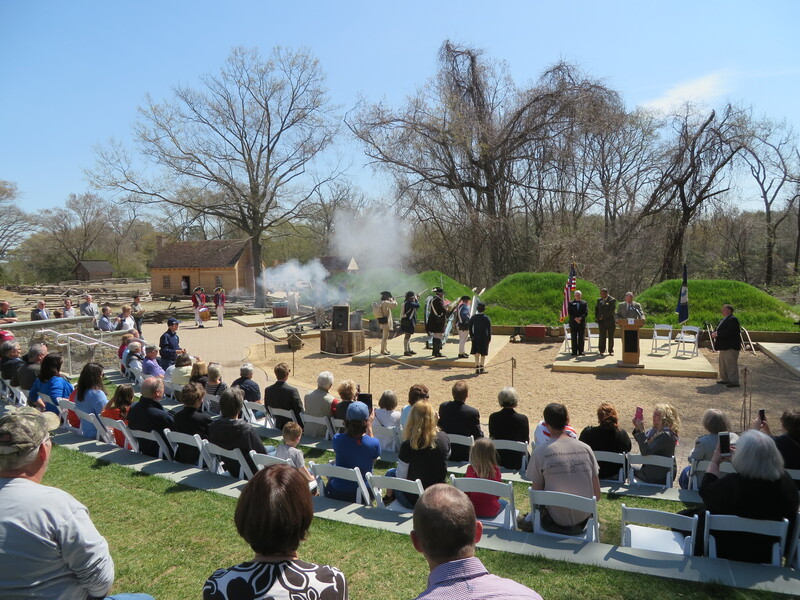 State tourism and heritage organizations took part in welcoming ceremonies and afternoon programs celebrating its role in the American Revolution.